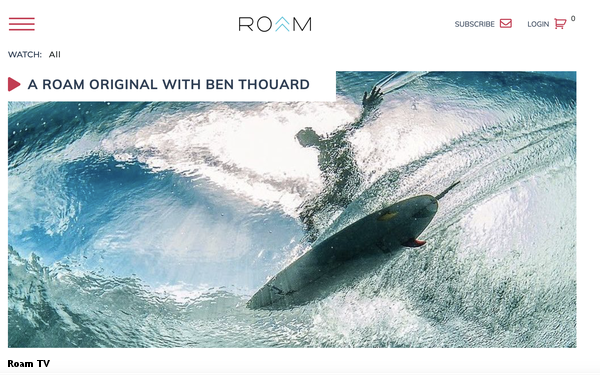 The outdoor adventure lifestyle network Roam is launching a dedicated streaming video channel, Roam TV. Roam TV, which launches Monday, will emphasize three-to-five minute episodes and add feature length films over time. The shows will be free and ad-supported, with pre-rolls, interstitial and takeovers available at launch. Select programming will also be available to buy on-demand. The company says it has hundreds of videos at launch, most shot by the adventurers themselves. Among the contributors is Jimmy Chin, who also serves as Roam’s Chief Creative Officer. Chin won an Academy Award earlier this year for his film “Free Solo,” about mountain climber Alex Honnold. Among the new programs is a series about Cory Richard’s attempt to climb a new route on the North side of Mount Everest, as well as an exclusive interview with Honnold about his record-breaking free solo climb of Yosemite’s El Capitan. Roam founder-CEO Christopher Jerard says since launching just over a year ago, Roam has 2 million viewers who have consumed more than 120,000 hours of video. That was before the Roam TV launch, which is meant to supercharge consumption.